The Shiv Sena Friday hit out at the BJP-led Maharashtra government over the construction of the Shivaji memorial and asked why it was unsuccessful in putting its stand on the issue before the Supreme Court. This, the Sena said, was despite the fact that the government never failed on other issues like "buying wins" in elections. The Sena said the apex court has once again stopped the construction of the Shivaji memorial, adding that it was happening again and again which raised questions on whether the government was serious about building of the memorial. The party, an ally in the BJP-led governments in Maharashtra and at the Centre, added that Sardar Vallabhbhai Patel's statue was successfully constructed on the banks of Narmada in Gujarat without any environmental or technical issues cropping up to stop work. 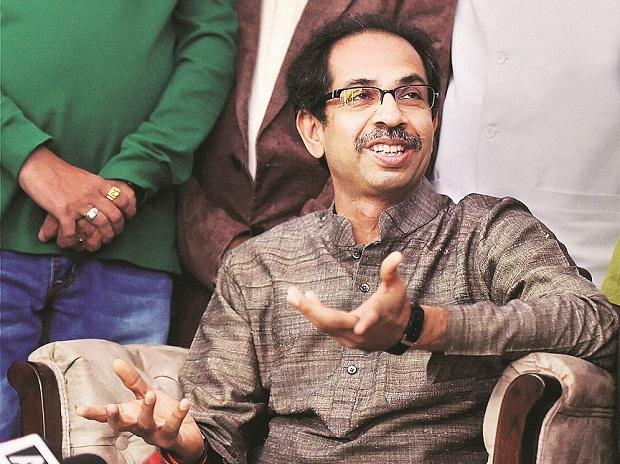 The Sena said while the government made amendments in the Constitution to give 10 per cent quota to economically weaker sections of the general category and solved the triple talaq issue similarly, the issues of constructing a Ram temple in Ayodhya and Shivaji memorial in Mumbai remain unresolved. "Is the court coming between the construction of the memorial or is it that somebody, who does not want the construction to take place, is using the judiciary as a shield?" it asked in an editorial in party mouthpiece 'Saamana'. The Sena said the project was worth Rs 3600 crore but the government was not serious about it from the start. "Some ask what is the use of memorials for Chhatrapati Shivaji and Balasaheb Thackeray. Had Shivaji not been there, Pakistan's boundaries would have come to your doorstep and had Balasaheb not been there, even Hindus would have had to offer namaz," the Sena claimed. It termed as "shameful" the issue of Shivaji memorial construction languishing in court. "Why has the government been unsuccessful in putting its stand before the Supreme Court? The government is never unsuccessful in issues like buying wins during elections. Then why on this issue? On other issues, the government takes political decisions swiftly. However, it is being a laggard in this," the Sena editorial said. The Supreme Court has sought responses from the Centre and Maharashtra government on a plea challenging a Bombay High Court order which had refused to restrain authorities from taking steps regarding the proposed Chhatrapati Shivaji Maharaj Memorial project in Arabian Sea. Advocate Nishant R Katneshwarkar, who appeared for Maharashtra, had on Wednesday said that while issuing notice on the plea, the bench orally told him to ask the authorities not to proceed with the construction activity. The petitioner NGO, Conservation Action Trust, had moved the high court challenging a February 23, 2015 order of the Union Ministry of Environment, Forest and Climate Change (MoEF&CC) granting environmental and coastal regulation zone clearance to the Rs 3,600 crore project in Mumbai. It had sought interim relief that stay should be granted on the order and the authorities restrained from taking further steps with regard to the project.